We're finally done with school. And already we've been keeping ourselves busy. We're doing the summer reading program at the library and Ryan went and picked out his first prize yesterday. We also went to a great indoor play place with friends and the kids ran hard for over 3 hours. I love the free time that summer brings! Speaking of summer, here is a WINTER page. ;) Just goes to show that you can scrap about any season any time. 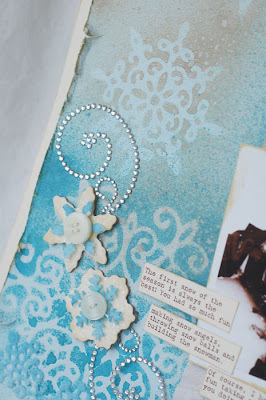 I used lots of Tattered Angels and Zva on this one. I created the background by spraying Riptide and Latte onto cardstock using Glimmer Screens. 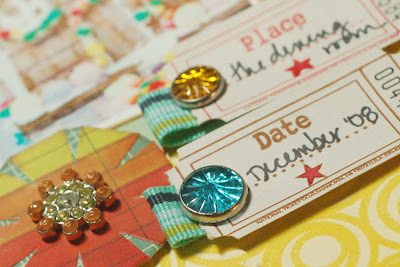 I also used some Glimmer Chips which I inked and added glitter to. 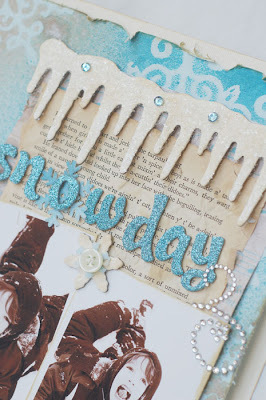 I think the crystals add a really shimmery effect, perfect for a snow themed page! 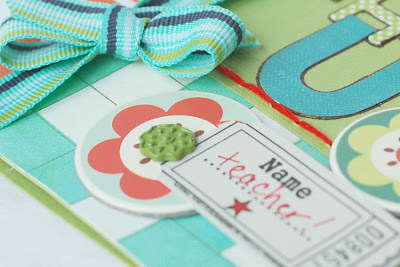 I also have some Label Tulip sneak peeks for you. I used the Main Kit and the Rock Candy Add On kit this month. Let me tell you, these are some AWESOME kits. They will be revealed on the 15th. Last month's kit sold out almost right away, so be there early to get your's!!! love the lo! your masking is perfection! love the shimmer-y effect you have going on! Gorgeous, gorgeous LO! 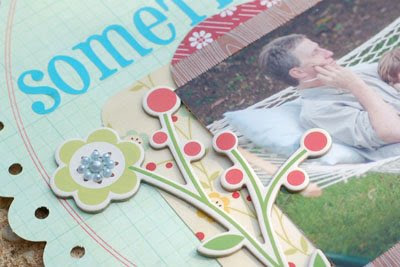 I LOVE the background you created with the glimmer mist! Stunning! 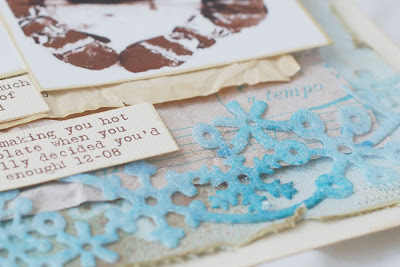 I love your frosty winter page!!! Gorgeous layout!! I haven't tried glimmer screens yet, I need to give that a go! Your sneaks look fabulous, too... can't wait to see the full reveal! 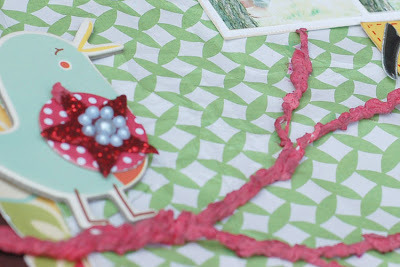 GORGEOUS sneaky peeks! Can't wait for the full reveal of these! YOU always create BEAUTIFUL creations! 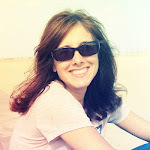 I am so glad I found your blog and that you were one of spotlights on Dawn's blog! 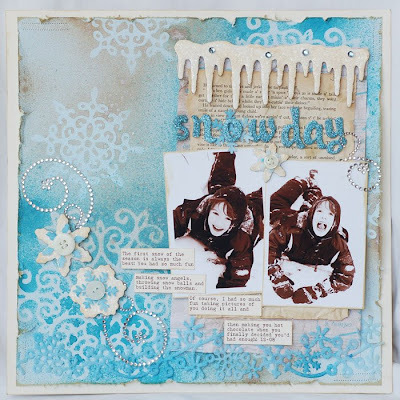 Seriously, I thought I was done scrapbooking winter pages for a long time, but then I saw your page and I think I'll just have to scrap some more winter pics! Your stuff is amazing! I'm going to come back often! WOW! Absolutely gorgeous LO!!! Lovin' the sneak peeks! Love the winter layout and the Label Tulip looks great! I need to use more tattered angel products on my work .. I think I might practice tonight .. love the LO .. so full and just pretty ..
Delightful layers on your Winter layout.